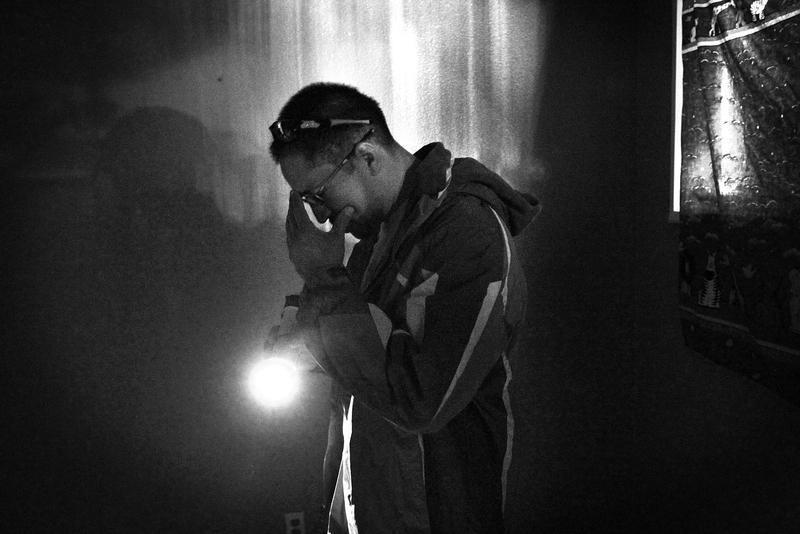 Arturo Martinez-Sanchez takes his sons Cristopher, left, 10, and Alejandro, 5, through a haunted house while trick-or-treating with friends from his old neighborhood in Las Vegas on Oct. 31, 2012. 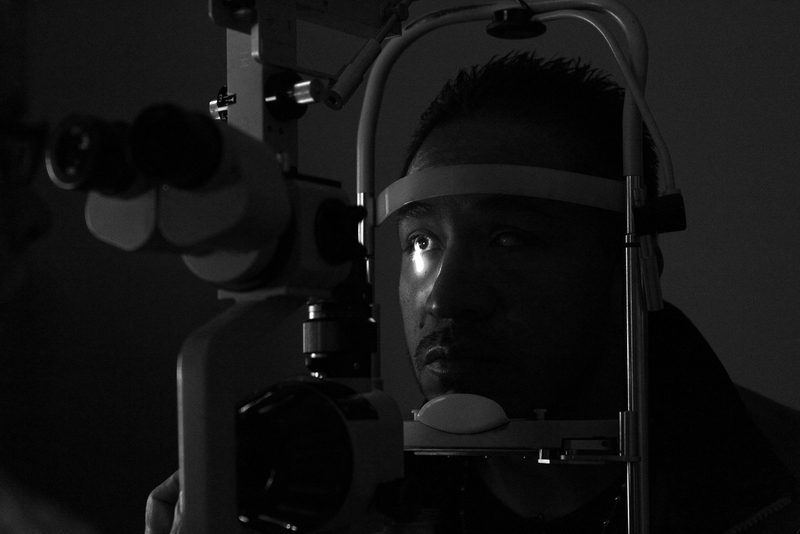 Arturo Martinez-Sanchez visits the eye doctor at Westfield Eye Center in Las Vegas on Dec. 17, 2012. 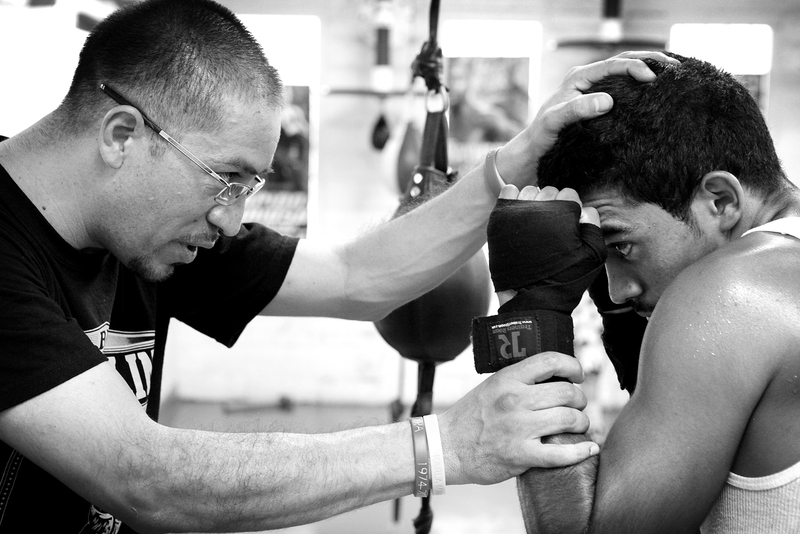 Arturo Martinez-Sanchez, left, trains boxer Luis Lara, 19, at his gym, Real KO Boxing Club in North Las Vegas, on Oct. 5, 2012. 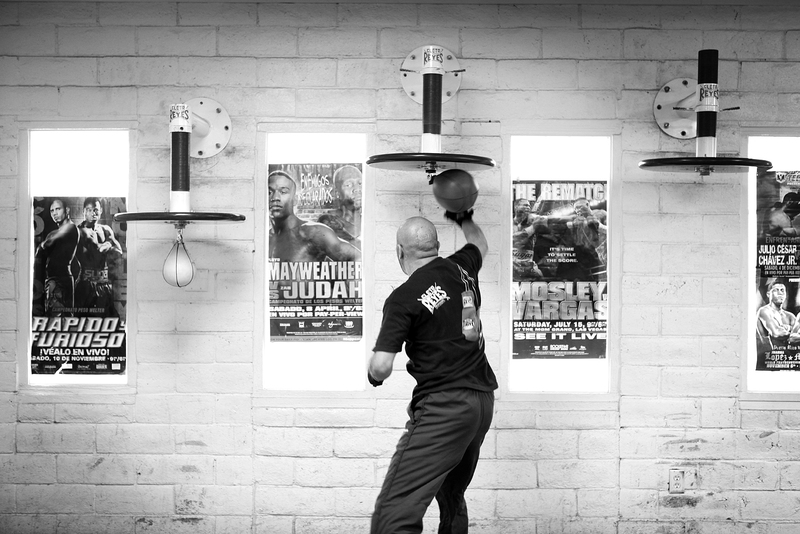 Arturo Martinez-Sanchez works out at his gym, Real KO Boxing Club in North Las Vegas, on Jan. 31, 2013. 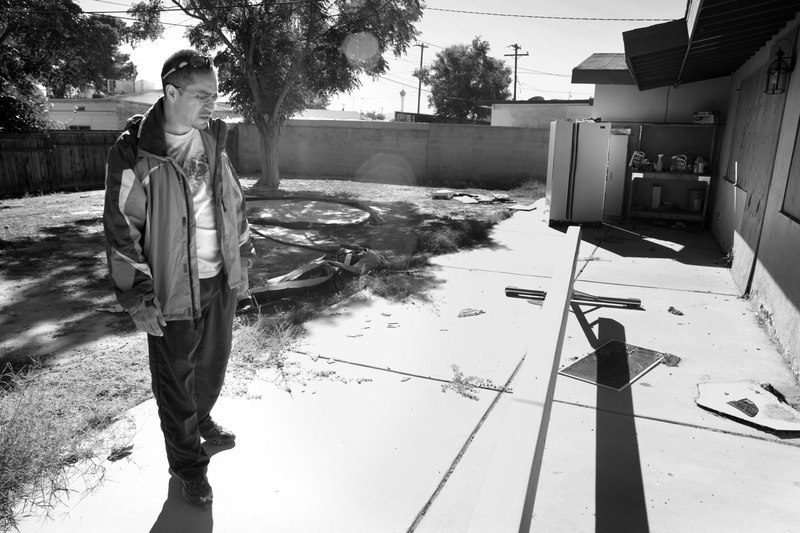 Arturo Martinez-Sanchez stands Oct. 26, 2012, outside the home on Robin Street where he was brutally attacked and his wife and daughter were killed in April 2012. 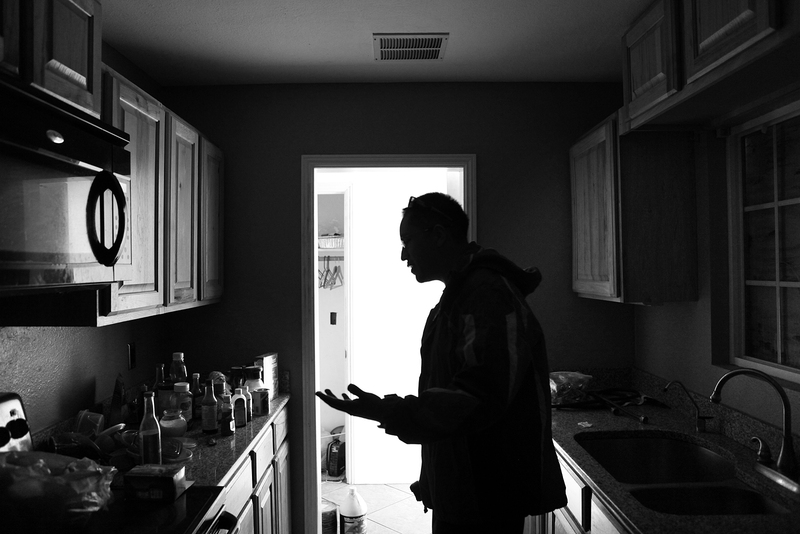 Arturo Martinez-Sanchez walks through his home on Robin Street on Oct. 26, 2012. He was brutally attacked and his wife and daughter were killed in the house in April 2012. 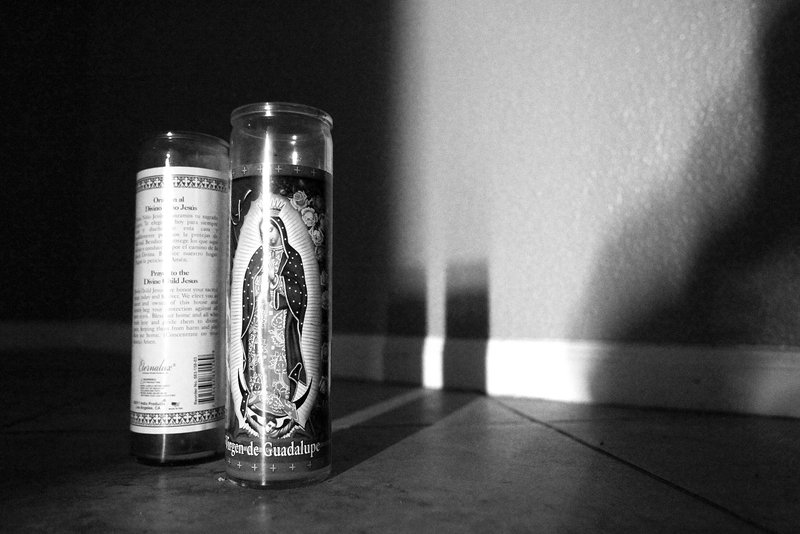 Candles are placed inside the room where Yadira Martinez was killed on Robin Street in April 2012. 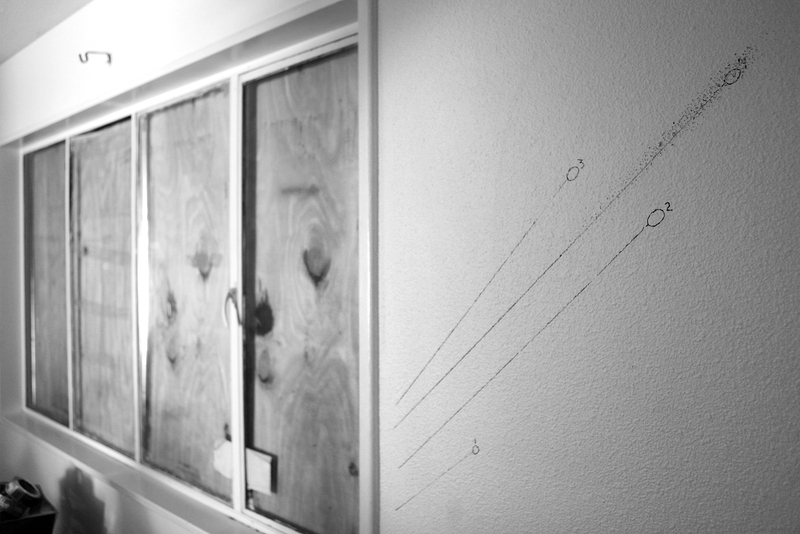 Crime scene markings are seen Oct. 26, 2012, inside the home on Robin Street where Arturo Martinez-Sanchez was brutally attacked and his wife and daughter were killed in April 2012. And then there’s Barbara Buckley, director of the Legal Aid Center of Southern Nevada, who took Arturo as a pro-bono client after receiving a call from the Mexican consulate. She has been helping him sort out legal matters in the aftermath of the tragedy, such as applying for a U Visa, which extends temporary legal status for immigrant victims of crime. Buckley agreed with Arturo that he should consult with someone in the real estate business to figure out what to do with the house. 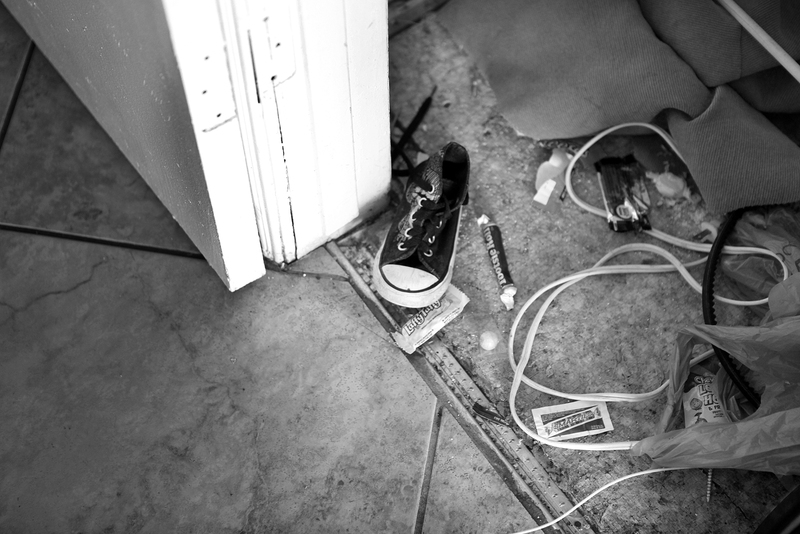 A shoe, candy and other items are seen Oct. 26, 2012, on the floor of the home on Robin Street where Arturo Martinez-Sanchez was brutally attacked and his wife and daughter were killed in April 2012. 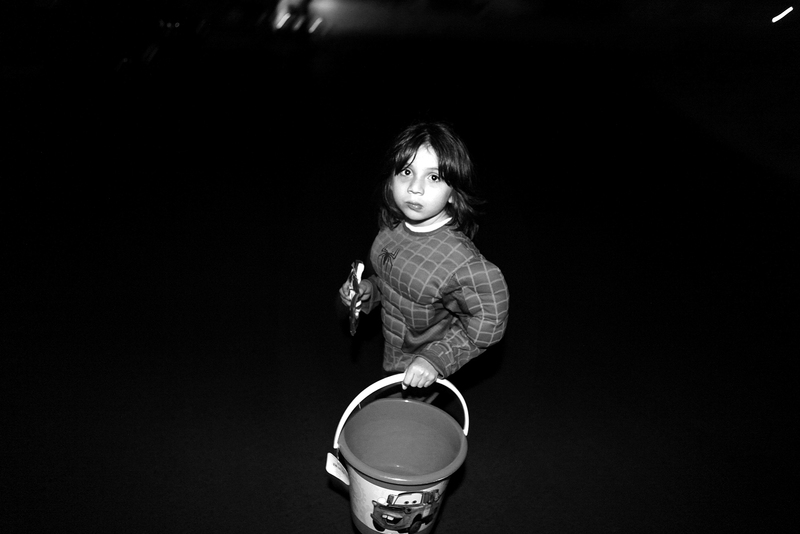 Alejandro Martinez, 5, trick-or-treats with friends from his old neighborhood in Las Vegas on Oct. 31, 2012. 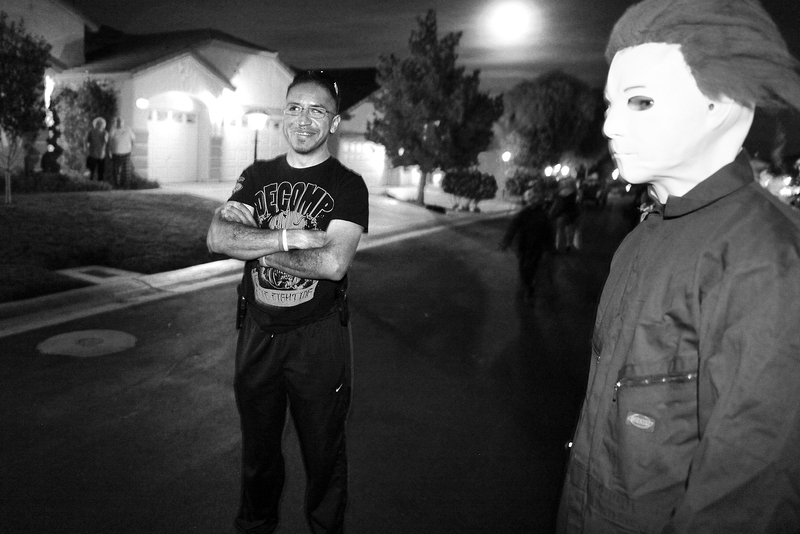 Arturo Martinez-Sanchez goes trick-or-treating with friends from his old neighborhood in Las Vegas on Oct. 31, 2012.